All Klingons revere the Day of Honor, their most sacred holiday, but the true nature of honor can be a matter worth fighting over.... 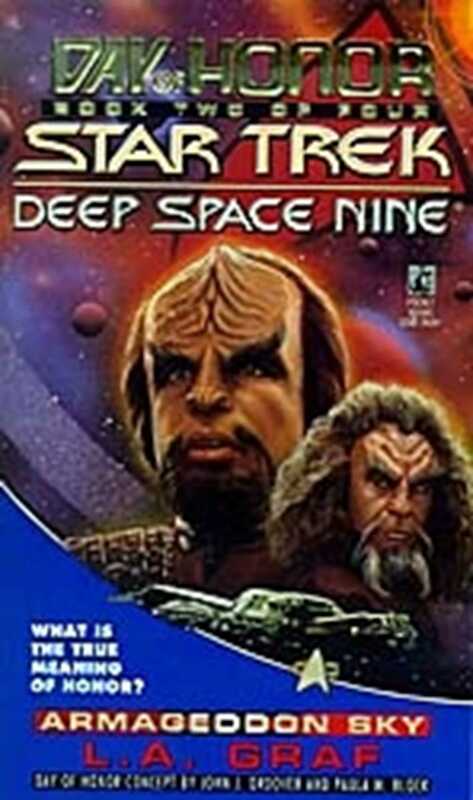 Dispatched on a secret mission to investigate the raids, Commander Worf of Deep Space Nine and the crew of the Defiant find themselves trapped on a an alien world threatened by global cataclysm -- trapped along with Klingons who were exiled to this world for their loyalty to Worf's dishonored family. Worf must find a way to save the Klingons whose honor bade them to keep their pledges to the House of Mogh despite the orders of the Emperor, and to prevent a bloody massacre that will forever stain the honor of the Klingon Empire!